Sometimes I like to do a little thing for other folks. 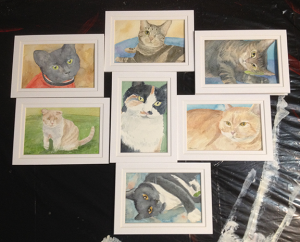 I did these postcard sized pet portraits to Tiny Timmy’s safe flea medicine indie-go-go campaign. 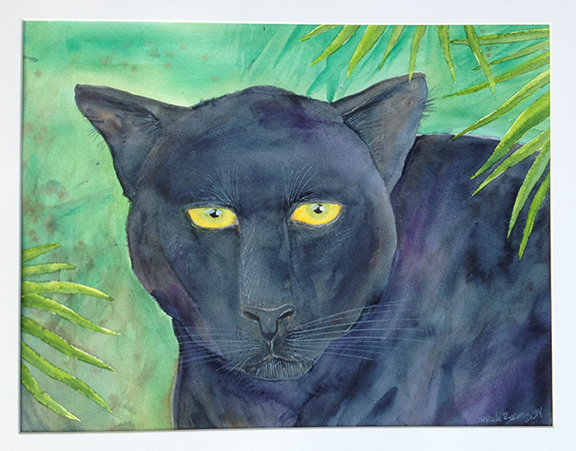 And now I just finished this panther for the Wildcat Sanctuary. I got to tackle watercolor in my less then usual style and it was pretty fun.